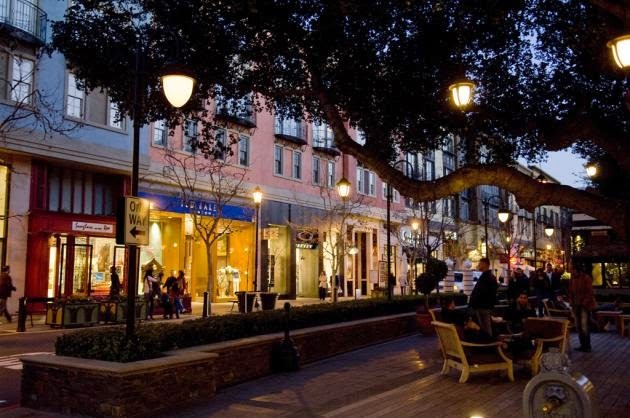 Santana Row is one of the most successful mixed-use projects of all time in the US. It has been emulated by many, yet nothing has really taken off quite like this ten-year ongoing project. Federal Realty, the developers that continue to own and operate the Row, have reached a physical limit in expansion opportunity. 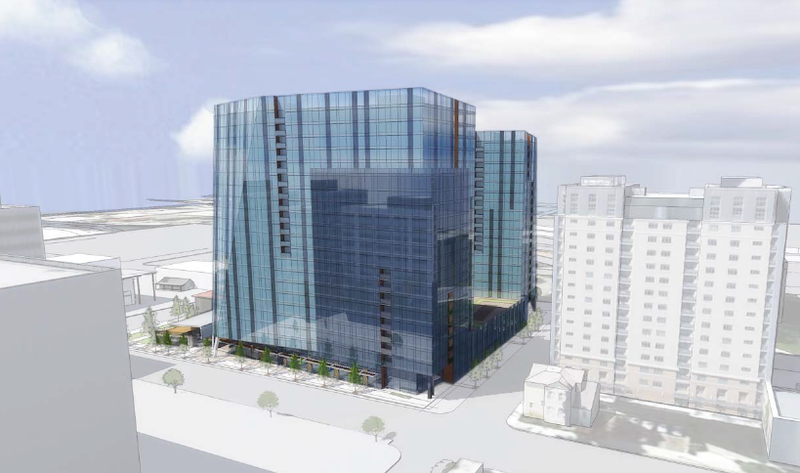 After this next round of development which will include three giant office complexes and a flagship retail space to cap the street, they will be completely out of physical space needed to continue to expand. Well, that is until the announcement below. Federal Realty is taking over 11.6 acres fronting Winchester where the current Century Theaters sit. I know there is a lot of controversy about this space. Personally, I think if it is going to be redeveloped then the ideal developer would be Federal Realty. They have clearly shown that they could make a successful project with a lot of complex moving parts come together. While they have not made any announcement as to what their exact plans are for the area, I think offices will be a greater part of the mix than the original Santana Row. San Jose needs more jobs at the moment than residential, especially in that general Midtown/Uptown area. I also think there is potential to integrate the new BRT into the new development, which I really hope they consider give the lack of current public transit access. A well integrated BRT line would be the next best thing to having Light Rail running between Downtown San Jose and Santana Row. Regardless of whether you or for or against this project, this will definitely be something interesting to keep tabs on. Playful People Productions has two family-oriented shows coming up at the Historic Hoover Theater. 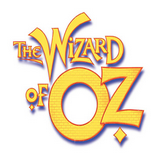 The first will be a traditional musical rendition of The Wizard of Oz performed by their youth cast next weekend. The second is Twister, a parody performance by their teen and adult cast the following week (the Saturday show will benefit the Cindy Mulcahy Scholarship Fund). More information and links to tickets below. After a tornado sweeps Dorothy Gale from her Kansas home, she lands over the rainbow and wakes up in Land of Oz. Dorothy and her three newfound friends journey on a quest to find heart, brains, courage, and most importantly, home. Click your heels together and join Scarecrow, Tin Man, Lion, Dorothy and her little dog Toto, as they journey through the magical land of Oz to meet the Wizard and obtain their heart’s desire. Join us for a musical adventure for the whole family! After a tornado sweeps Dorothy Gale from her Kansas home, she lands over the rainbow and lands in Oz. But the tornado has followed her to Oz and it keeps mixing up Dorothy and her three new-found friends on their quest to find heart, courage, brains and most importantly, home. Come along with us as we see the world over the rainbow in a whole new way in this mixed up twist on this classic musical. You will laugh out-loud and tap your feet to some familiar tunes for this surprising evening in Oz. * This show will be a fund raiser for the Cindy Mulcahy Scholarship Fund. This fund provides tuition assistance for Participants in need who so financial assistance so everyone can enjoy the excitement of live theater. For each production, Playful People Productions employs professional designers, artists, choreographers and directors to guide our students. The company also hires experienced college & high school students to do jobs in the production such as directors, stage managers, lighting, make-up, & set designers, choreographers and assistants. This allows students to gain work experiences in all aspects of theatre. The goals of Playful People Productions are: to provide the community with a variety of performing opportunities for children, youth & families to experience; to challenge young people in the community; provide a safe, caring environment; and to involve parents in a wholesome, well-rounded activity. The founders believe that a good theatre experience will greatly improve the lives of the children, youth and families in our community. Housing prices in Silicon Valley are astronomical, but there are still a few good deals in town. Skyline was converted from a rental building to condos not long ago, and their one-bedrooms start at $370k. They also have special financing available that lets buyers own a home for just 3% down. 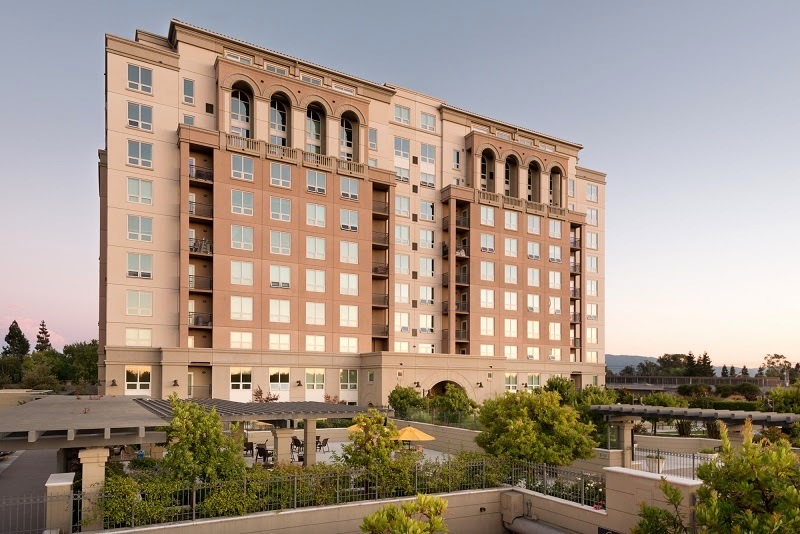 What I like about this location is that it is a stonesthrow away from both Downtown San Jose and Willow Glen, and it is right on both the Caltrain line and Light Rail. I heard that there can be some noise from the trains for some of the units, but besides that it looks like a great place to live at a surprisingly low price. The amenities include open floor plans, granite kitchen countertops, an outdoor kitchen/BBQ, and a swimming pool that they are adding by summer. 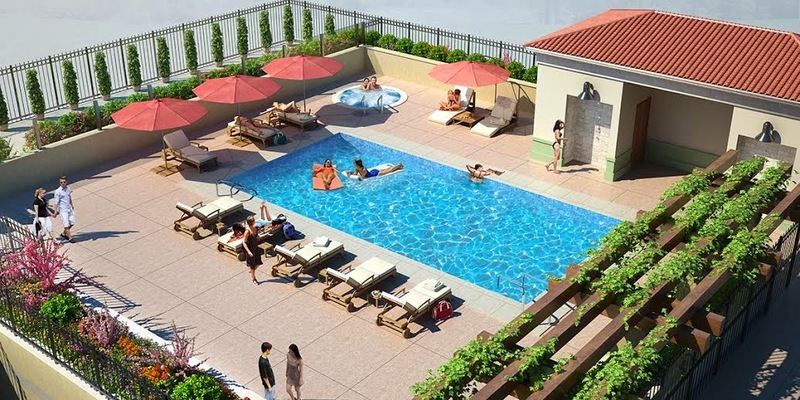 Speaking of the pool, they are doing a groundbreaking party & BBQ on April 5th, from 11am to 12:45pm. You can find out more info about this event over here. To learn more about the condos themselves, visit www.skylinesanjose.com. 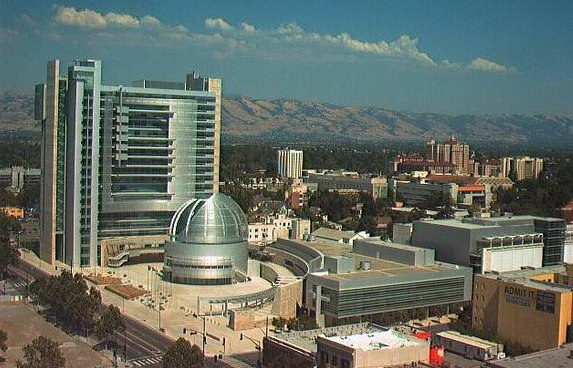 Gallup has ranked the best and worst cities for "well-being" and San Jose did quite well. The data is based on more than 500,000 interviews where people were asked about their emotional and physical health, their job satisfactions, community safety, and access to food, shelter, and health care. 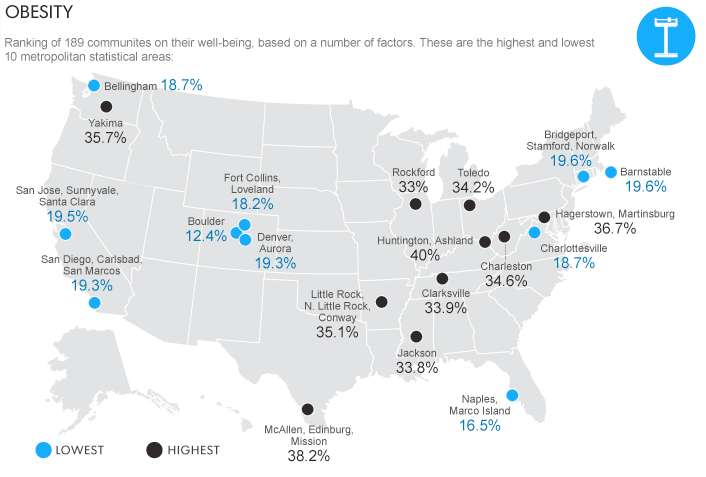 In overall well-being, San Jose came in 5th while SF landed the 9th spot on the list. Source: USA Today, Hat-tip to Barclay Livker for sending this in! We have another public company in the area! Last week A10 Networks had their Initial Public Offering (IPO) and raised $187 million. 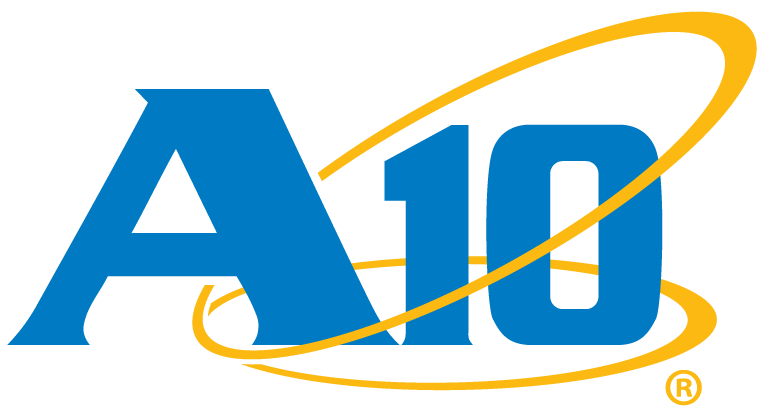 A10 sells hardware that speeds up the delivery of web applications as well as manage bandwidth and network identity. The money will be used to build up the company's engineering, sales, and marketing departments. If you are looking for a tech job, now may be a good time to head over to the A10 website. A10's corporate headquarters is located a 3 West Plumeria Drive in North San Jose. Da Kine Island Grill opened on March 8th and Paper Plane opens next month. The Downtown Street Life plan is gaining traction and will provide 40 different projects aimed at creating more comfortable spaces Downtown. Blackbird tavern is now using the neighboring space for private parties and events. 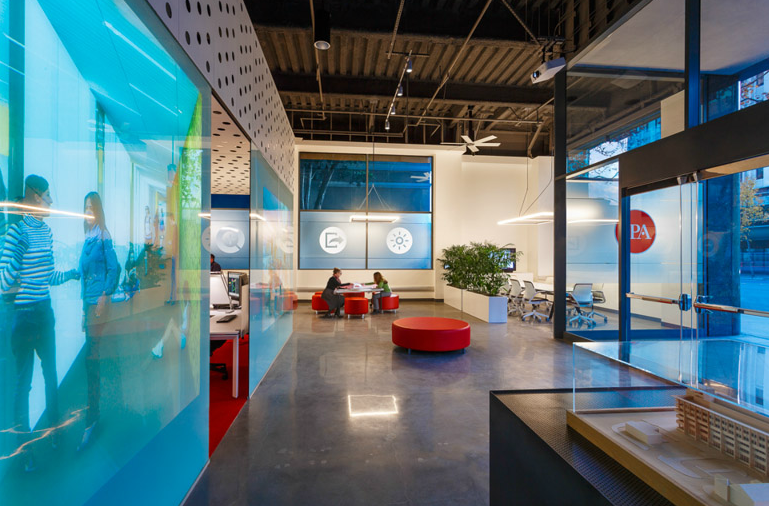 Electric Cloud has moved its Sunnyvale headquarters and about 70 employees to 35 S. First St.
A 20,000 SQFT space at 130 Almaden will become Paul Mitchel The School, hosting 30 employees training 200-25 cosmetology students at a time. Free ultra high-speed internet is being offered as an incentive for companies that choose to locate in one of six older Downtown buildings with high vacancies. In celebration of Preservation Month this May, the Preservation Action Council of San Jose (PAC*SJ) is hosting their 2014 Historic Photo Contest. 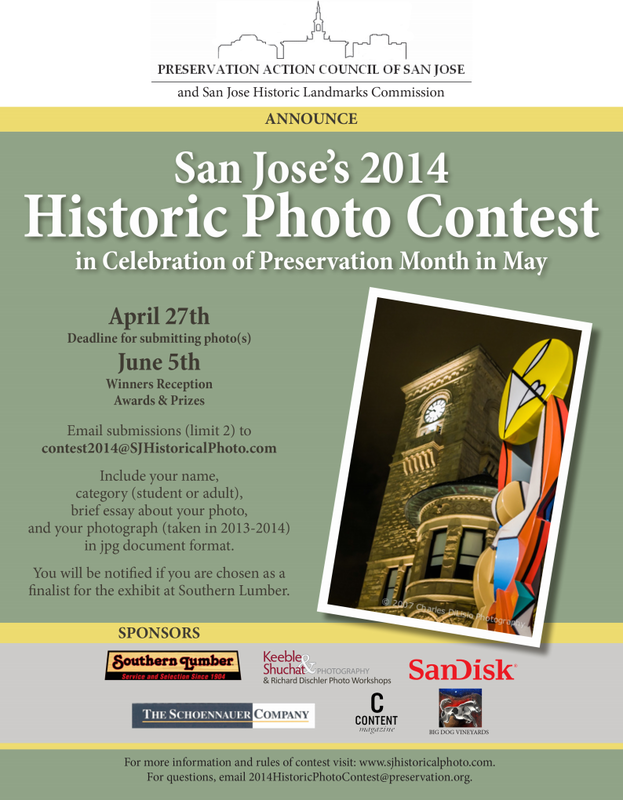 In order to participate, all you have to do is send photos of historic structures or artifacts in San Jose to Contest2014@SJHistoricalPhoto.com. The name, category (student or adult) and a description of the photograph must accompany each photo submission. Also, photos must have been taken in 2013 or 2014 and should be in a jpg format. The deadline for submission is April 27th. The winners reception with awards and prizes will take place on June 5th at the Southern Lumber Company, 1402 Monterey Highway, San Jose. "The mission of this contest is to promote historic preservation by raising awareness of San Jose's historic resources, to celebrate the efforts to preserve our city's history, and to recognize the irreplaceable historic resources that are threatened." Taurinus has just opened up where Nazca Peruvian Restaurant and Zenon's Peruvian were previously located at 167 San Fernando. 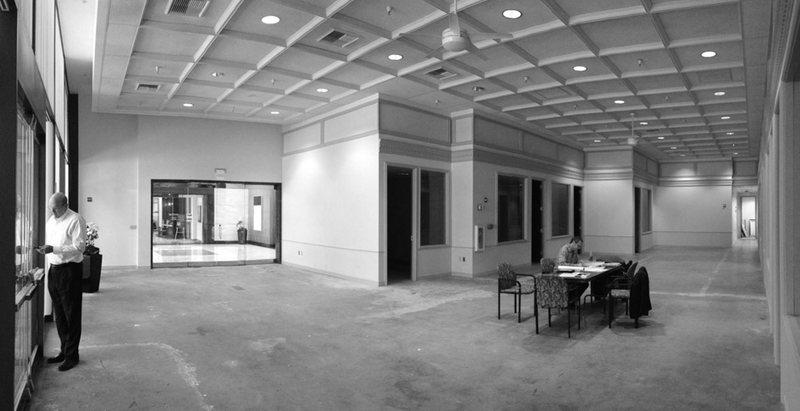 They made some great renovations to the space by opening up the walls and ceiling and creating a giant open space. The new owners also greatly enhanced the bar space. 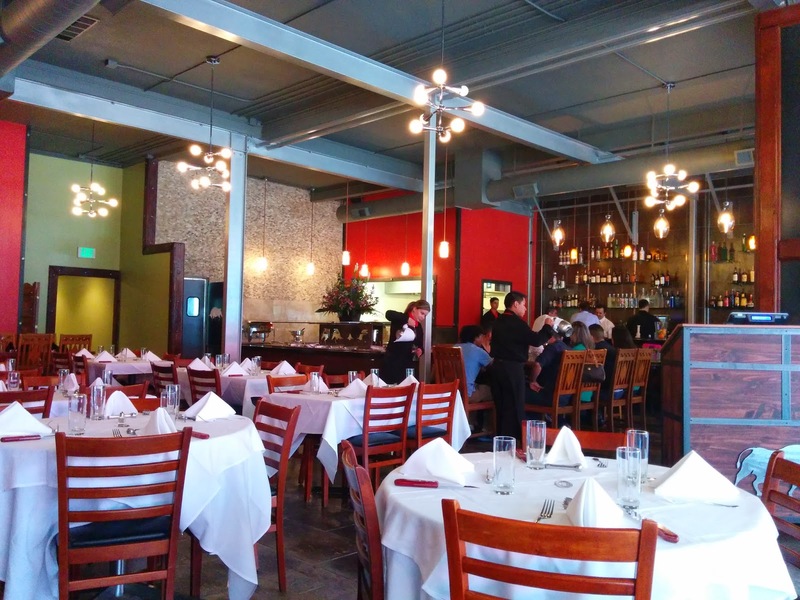 Taurinus is now the second Brazilian steakhouse in San Jose, where a couple months ago we had none. 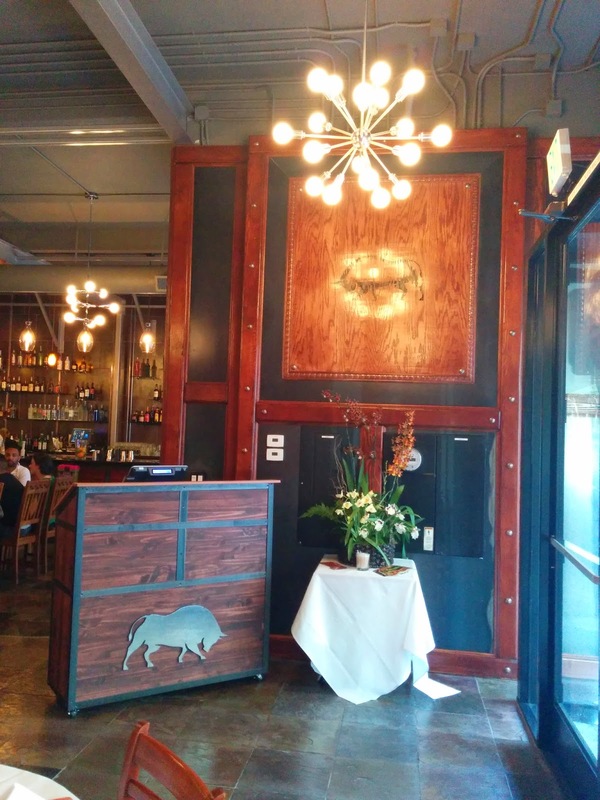 It compares quite favorably to Fogo do Chao in Santana Row and is slightly more traditional. 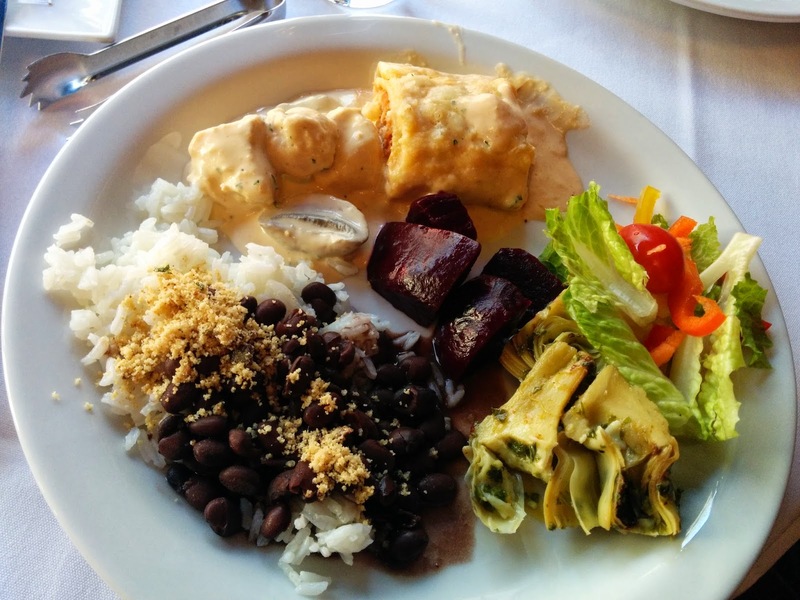 There has only been one other Brazilian Churrascaria Downtown in the past, and it was Maceio on 1st Street. I think Taurinus manages to top Maceio at every level. 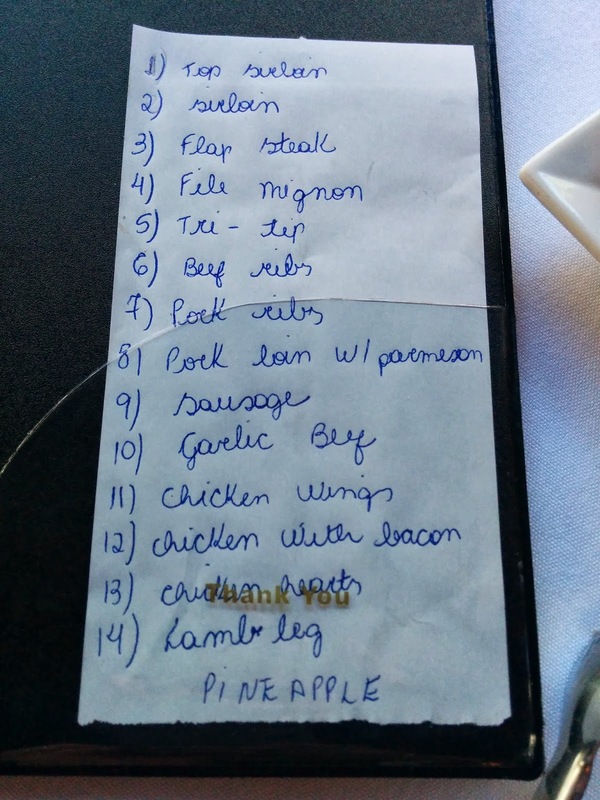 There are 14 different meats, which you can find listed below. They even have one of my favorite delicacies, chicken hearts! My favorite meat is usually the Sirloin/Picanha, but at Taurinus the Pork Ribs blew me away. 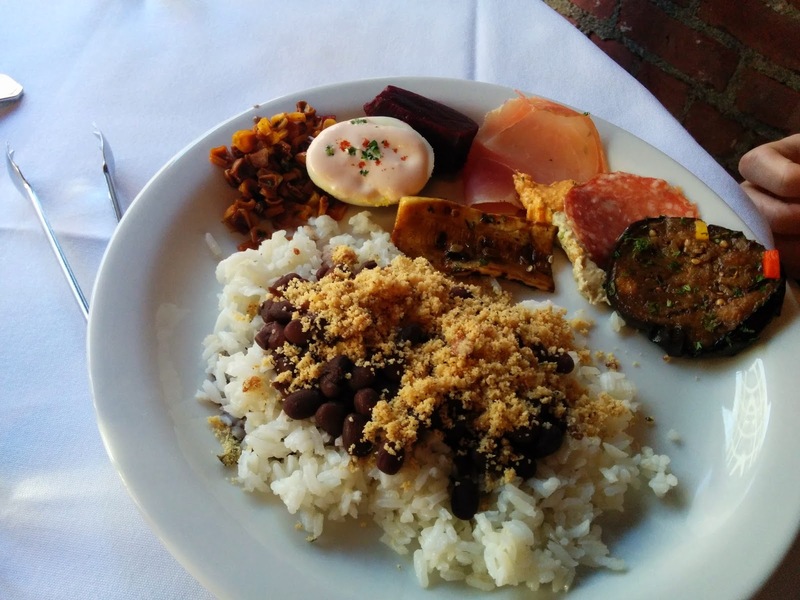 As is expected at a Brazilian steakhouse, the meats keep on coming until you feel like you are about to fall over. They also serve you a side of Yucca, fried plantains, and awesome cheese bread. As good as the meats were, their sidebar was equally as good and is perhaps the best side-bar for any Brazilian place I have been to. I highly recommend starting with a plate of rice, topping it with some beans, adding farofa (the powdery stuff), and topping it with some spicy oil. This will go well with any of the meats served at the restaurants and could even be a standalone meal. The side bar also features an assortment of cold cuts, veggies, salads, and deviled eggs. I would be willing to come back for the side bar alone. Save some room for dessert as well. 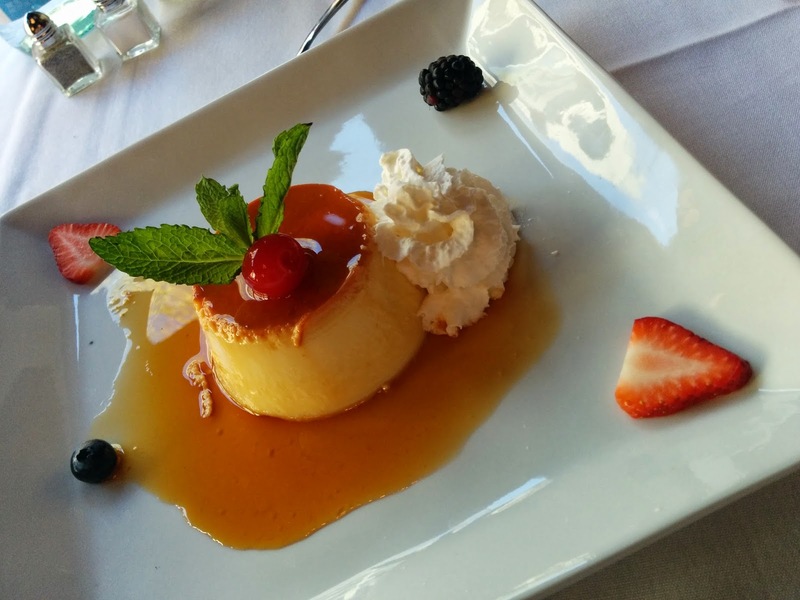 My wife and I shared a caramel flan (Pudim) which was delicious. I also have to mention that the service was exceptional throughout the meal. Fantastic addition to Downtown San Jose--the owners should be proud and I wish them a lot of success. 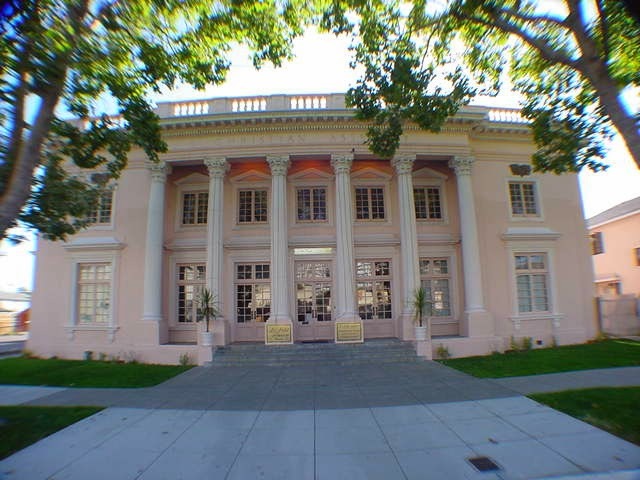 The new chamber music group Ensemble SF is performing at the beautiful Let Petit Trianon in Downtown San Jose on Monday (March 31st) at 7pm. 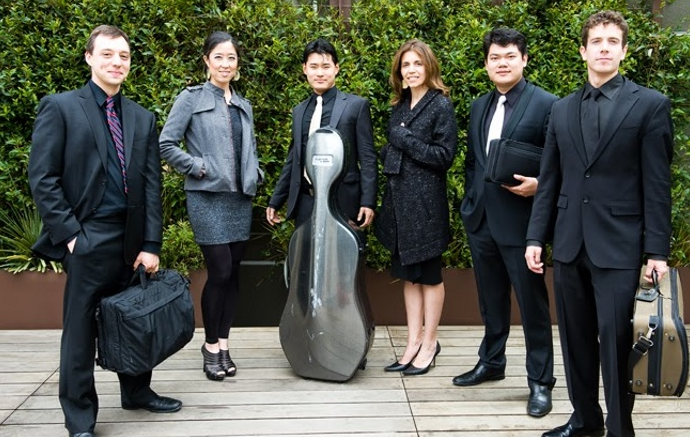 The group consists of musicians from the SF Symphony, Ballet, and Opera orchestras. The concert will be family-friendly, dynamic, and will even include a tango dancer for one of the pieces. To learn more about the group, visit EnsembleSF.com. To buy tickets, just head over here and put in the code "sjblog" for a $5 discount on both general and student/senior tickets. In the latest minute-long San Jose history lesson courtesy of WMS Media, learn about the 1908 Great Race and their pit-stop in Downtown San Jose! As an added bonus, here is a PDF from the Sourisseau Academy with several historical photos of San Jose. Learn about how the 1908 Great Race route came through San Jose and how drivers stopped at the famous Lamolle French Restaurant on San Pedro and Santa Clara Street! 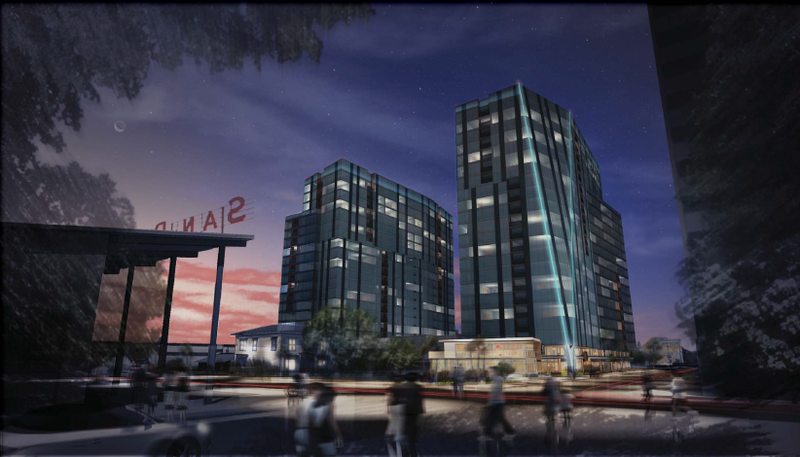 Ginormous San Jose Tech Campus Approved! 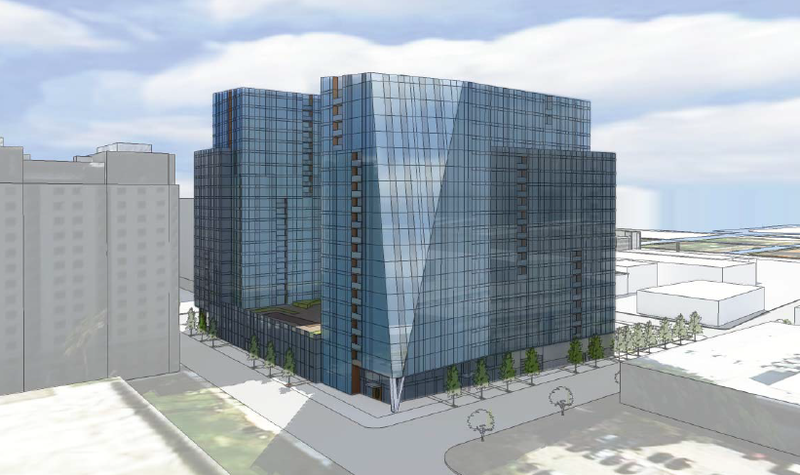 A campus of ten--yes ten--seven story buildings was just approved last week and is going to break ground this year where Bay 101 now sits. The project will span 2 million SQFT and employ up to 10,000 people. Whichever company occupies it will instantly become the second largest employer in San Jose next to Cisco. The company was not announced yet, but we know it will be a tech company, it's on the Fortune 100 list, and they already have some presence in Silicon Valley. My best guess is either Microsoft or Amazon. The total cost to build out the campus will be at least $700 million. Another interesting fact is that the entire approval process for this mammoth project took only six months. The City of San Jose really fast-tracked this one and hopefully they will continue to keep up this pace for future development. A new community events website focused on Downtown San Jose is looking for crowdsourced funding to get off the ground. The mission of the project is better connect people, places, and events in our City's core. Matt Spergel, the proprietor of DTSJ.info, also believes that this project has the potential to improve Downtown's image, bring more people Downtown, strengthen the community, and encourage new culture. The perks for contributing to the campaign sound pretty great. They range from chocolate bars and t-shirts, to snacks at a variety of Downtown restaurants, invites to the launch party (complete with magicians, DJs, and laser beams). High rollers can even get a private dinner Downtown with Al Alcorn (the inventor of Pong), Lee Felsenstein from the Homebrew Computer Club, or even Daniel Kottke (Steve Jobs' hippie friend). Please have a look at the DTSJ.info campaign over here. Let's support these projects that will help make Downtown a better place! DTSJ final from Matt Spergel on Vimeo. 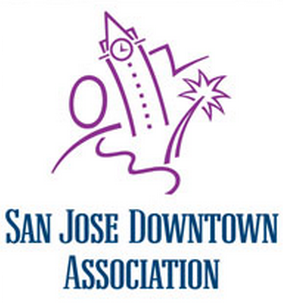 History San Jose is throwing Yard Sale in the Park on Sunday, April 27th from 10am to 2pm. Admission will be free to the public that day. Everyone is invited to host their own table, but the deadline to register is April 1st. History San Jose will even have their own booth with books and an assortment of items. There will be food available (including Treat ice cream at O'Briens Cafe) and live music by Fiddle Road. For more info, check out the release below. San Jose, CA – February 24, 2014 --- Springtime is house-cleaning time. Right? Well, right, with a little incentive. History San José will host a SpringYard Sale in the Park. It has been said that one person’s junk is another one’s treasure. So start cleaning. The public is invited to host their own table and sell their wares at the Yard Sale in the Park at History Park, in Kelley Park, on Sunday, April 27 from 10 AM to 2 PM. Host your own booth of used lamps, grandma’s china, toys, and anything else taking up space at home. Booths of wares will be positioned inside the park. The deadline to register for a booth is April 1st --- no fooling. Even History San José’s Collection Center is getting in on the action. There will be an HSJ book booth, offering duplicate, unuseable, or deaccessioned books for sale, as well as an assortment of other items. 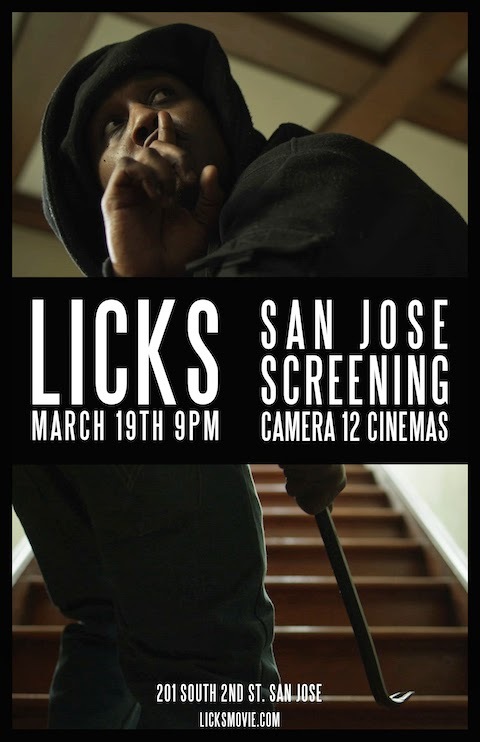 As always, food will be available for purchase, and O’Briens Café in the Pacific Hotel will feature San Jose own’s Treat ice cream. Live music by Fiddle Road and other food vendors will be a part of the Yard Sale event. Registration must be received by April 1 --- no fooling; booths for non-members are $20 each; booths for members and affiliates of HSJ are free. 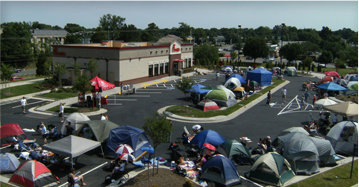 Entrants must register to sell, and provide their own equipment, tables, chairs, canopies, etc. Register by contacting Juanita atjlara@historysanjose.org or calling 408 918-1045. Memberships are available from $50 by contacting Michelle Powers atmpowers@historysanjose.org or 408 521-5016. 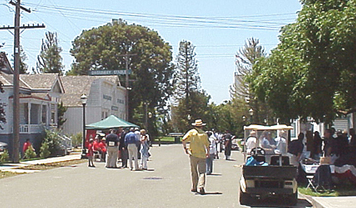 History Park at Kelley Park is located at 1650 Senter Road, between Phelan & Keyes in San Jose. For GPS mapping use 635 Phelan Avenue. City parking is available for $6. For more information visithistorysanjose.org or call 408 287 2290. 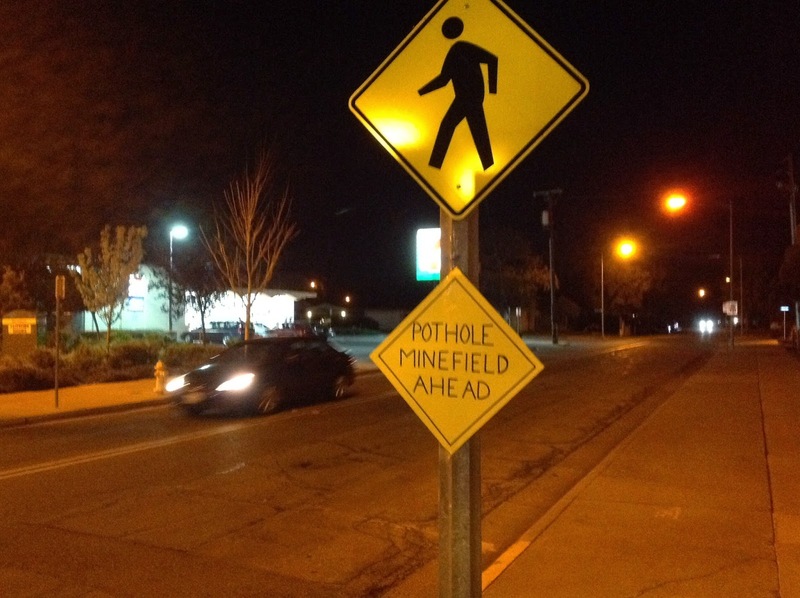 It's clear we need to do some repairs on our streets, but it looks like someone took matters into their own hands to warn drivers of road conditions =). The sign below when up on Foxworthy between Meridian and Ross Avenue. A Downtown San Jose Street Life Plan is being developed to guide PBID investments over the next 10 years. The plan encourages social interaction, is pedestrian friendly, will enhance the image and brand of Downtown, and will amplify pride in the community. 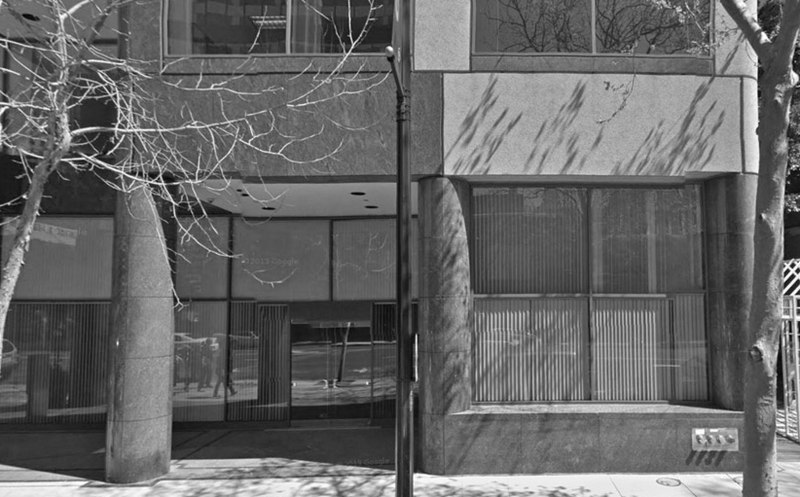 Business licenses taken out within the Downtown Business Improvement District increased from 2,050 to 2,112, showing that more businesses are locating Downtown. The San Jose Museum of Art has launched an online database of its permanent collection of more than 2,400 works of art. You can access these at collection.sjmusart.org. The Downtown First United Methodist Church across from City Hall held an open house and its first worship celebration on Jan. 12th. Koji has remodeled and reinvented itself as Nomikai on 48 S. First St. CREAM opened on Feb 1st at 27 Post St.
Ozu Sushi is now open at 86 S. First St. in the former Smile Sushi location. The Louisina Bistro is open at 19 N. Market. Curry Pundits is open at 30 E. Santa Clara St., Suite 130. MUJI has started carrying a variety of Japanese snacks such as cookies, chips, crackers, candy, chocolates, teas, and coffees. The City Department of Transportation intends to install 1,200 Smart Meters in the Downtown core by the end of March. Eventually users will be able to pay using their phones or download an app that will direct them to unused spaces. Mayfair Court features 93 units of affordable housing across a 1.44-acre site at 65 McCreery Avenue. It has a surprising amount of amenities for this kind of project as you can see below. The total cost is going to be $23 million and it will include 56 two bedroom units that will rent from $663-1,129 and 37 three bedroom units that will go for $763-$1,301. Rents are based on family income, and you need to make less than $50,650 a year to even qualify. Needless to say the waiting list is already completely full. 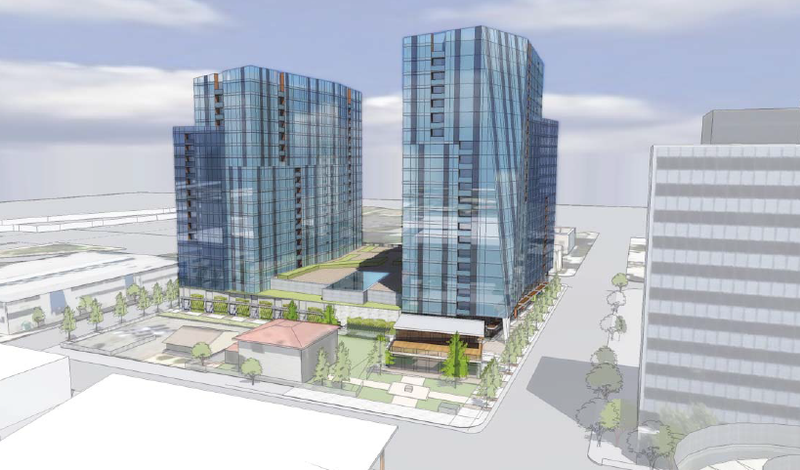 Fairfield Residential is proposing yet another dense project for midtown over at 800 W. San Carlos where the Cheim Lumber Yard used to be. 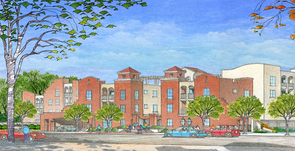 Unfortunately there has not been much movement on previous projects such as the Ohlone (with 800 units). 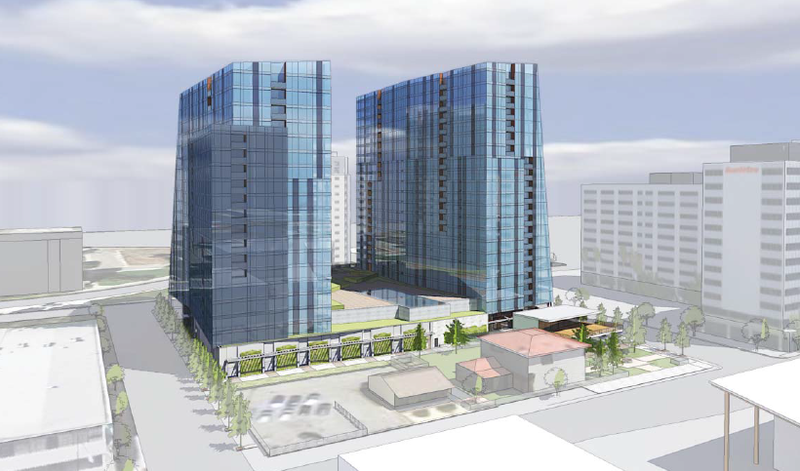 This new proposal is still in the very early stages, but they are shooting for 315 apartment units. You can't make out too much from black and white drawing below, but it does look like the design will be more eye catching than many of the apartment projects that have been recently built. It kind of reminds me of The Pierce which will go up in Downtown's SoFA District. 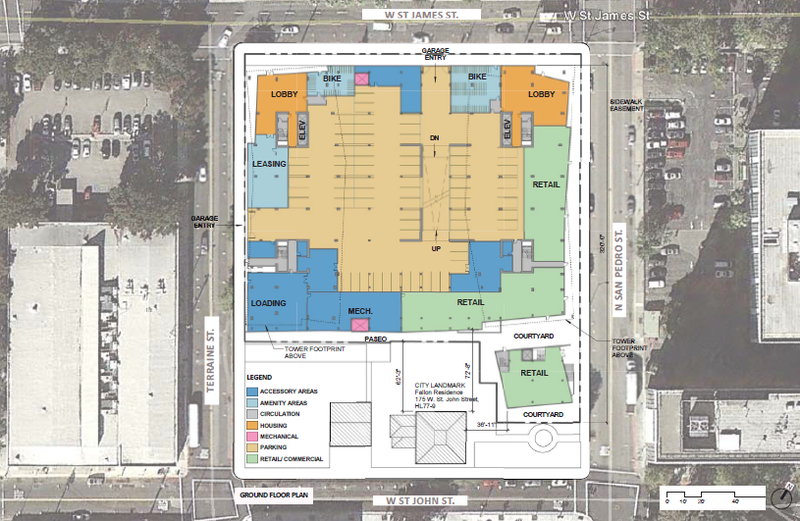 The plans also include a respectable and appreciated 23,500 SQFT of retail/restaurant/office space on the ground floors oriented along West San Carlos. Lightrail will also be nearby, providing plenty of transit options thanks to a quick connection to Diridon. 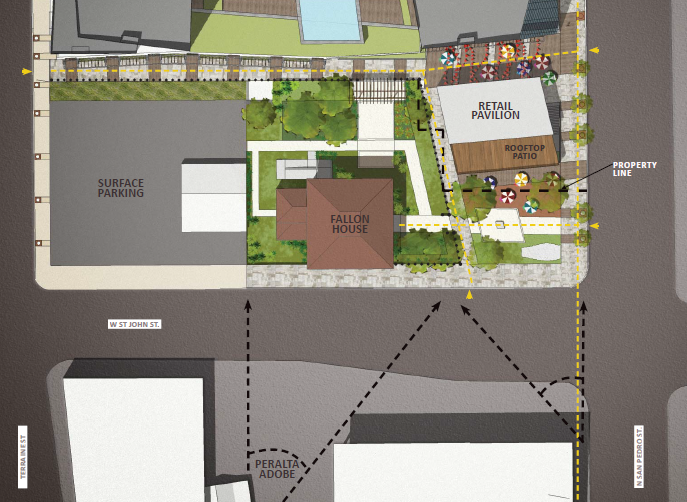 I really hope to see this come to fruition soon instead of linger like some of the other midtown projects. Some bad news today. Virgin America is leaving SJC. I was really excited when they announced that they were coming to our airport, but was always worried they would be destined for failure from the start. Instead of adding a new route that would be a huge value add to Silicon Valley residents, they chose instead to go with four daily flights to LAX. Guess what, San Jose already had two dozen flights to LA each day. If they went with a new route instead of a highly competitive one, they would have been much better off. ANA is doing really will with over 80% occupancy on their route to Japan. Hopefully future new carriers will be more like ANA and less like Virgin. SpareFoot ranked the top apartment boom towns in the US, and San Jose took the pole position on the list with San Francisco coming in 8th. The analysis looked at the total apartments per person, population growth, the percentage of people spending more than 35% of their income on rent (lower numbers are better), per-capita personal income growth, per-capita GDP growth, and growth in per-capita construction permits for new apartments. The article is an interesting read (especially on how Detroit made the list) and you can access it here. Here is SpareFoot’s ranking of America’s Top 15 Apartment Boom Towns, in descending order. 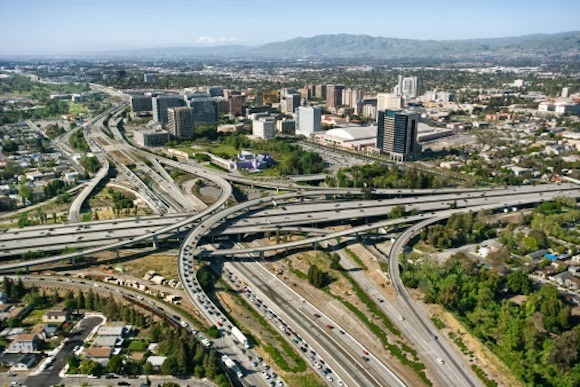 San Jose’s continued job growth, along with its shortage of affordable entry-level homes, encourages younger workers to look for apartments, said Matthew Mahood, president and CEO of the San Jose Silicon Valley Chamber of Commerce. “The apartment housing market has responded to this increased demand and has built and will continue to build new projects. 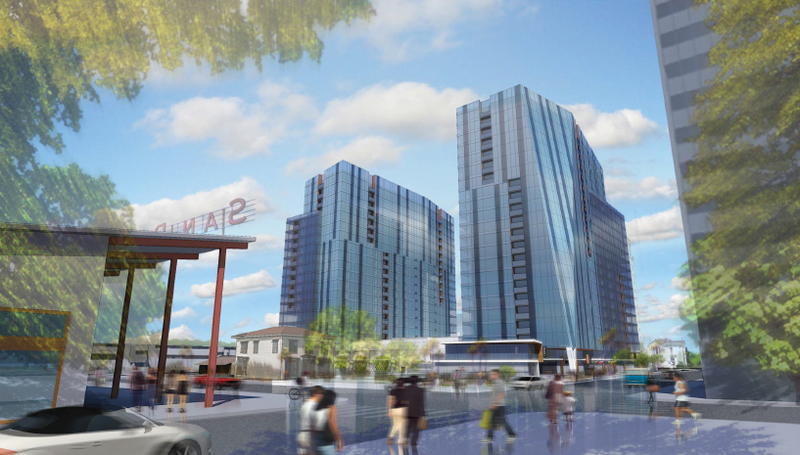 In fact, there are two high-rise projects being built simultaneously in downtown San Jose that will provide for nearly 700 for-rent units in the next two years,” Mahood said. Below is a video of Mayor Chuck Reed's final State of the City Address. His speaking points included SJC, connecting BART to Downtown San Jose, the A's, community reforms, green-tech, budget deficits, homelessness, taxes, and public safety. 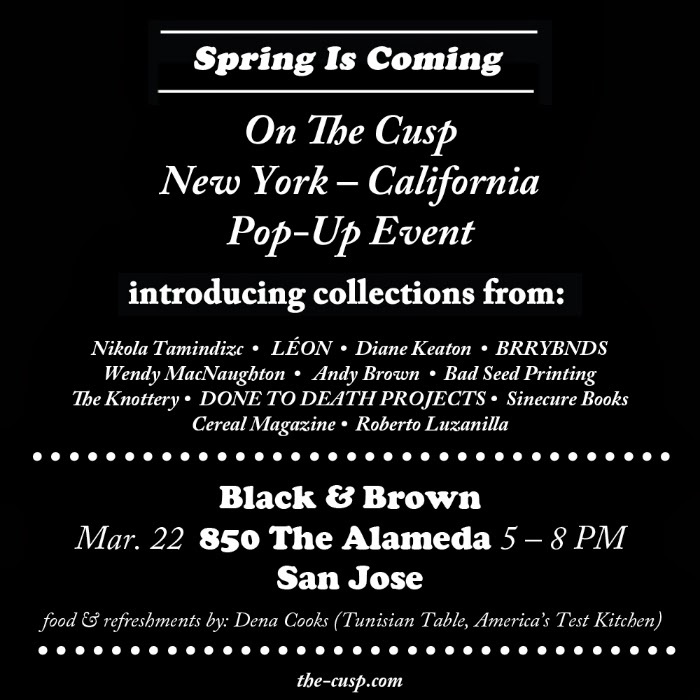 San Jose Art Salon Presents BLINK. Please join us for an art expo of vastly different styles that are sure to please the versatile taste of all art lovers. Exhibition runs from March 15th through March 29th. 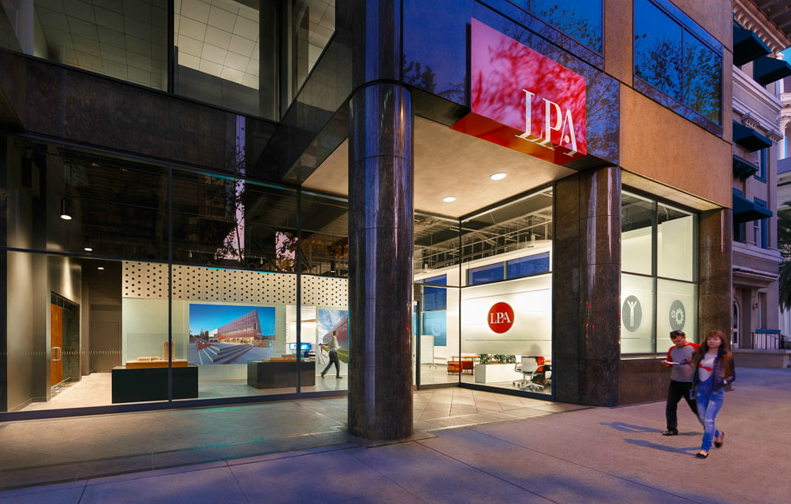 LPA is an Architecture, Design, and Master Planning firm that has taken over the old Northwester Mutual space at 60 South Market Street. 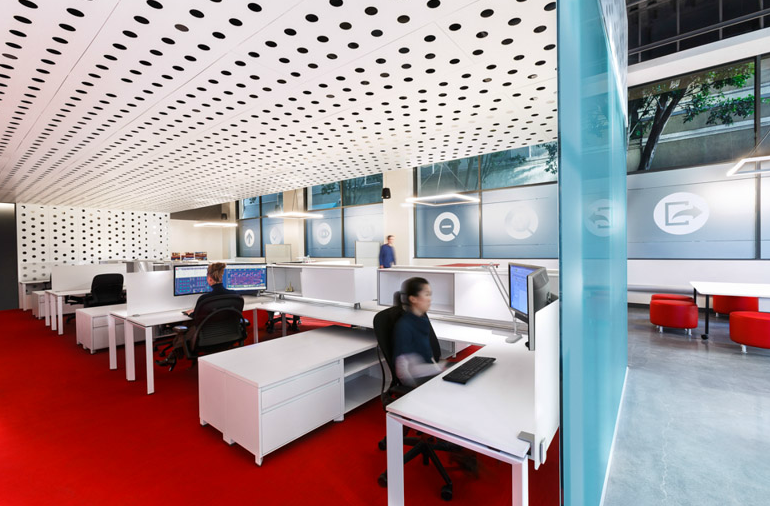 Their portfolio is quite impressive and they are known for modern and sustainable projects. Have a look at some before (black & white) and after photos of their stunning new Downtown San Jose home. 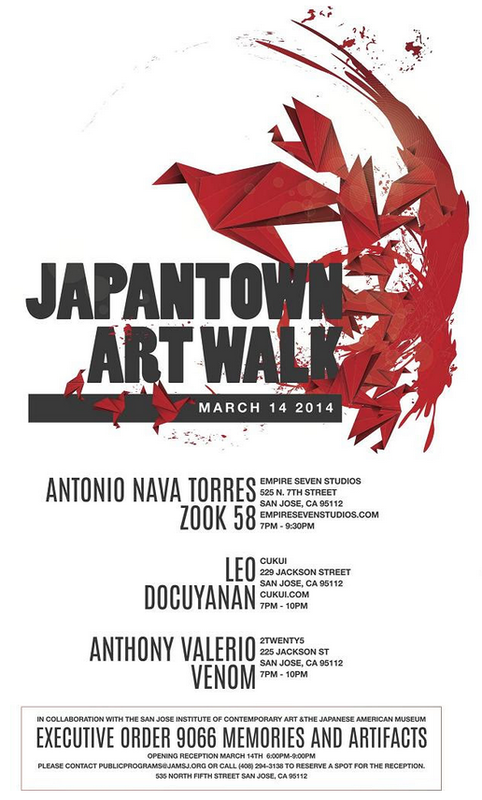 Come check out a new Art Walk in Japantown featuring Empire Seven Studios, Cukui, and 2Twenty5. The galleries will be open until at least 9:30pm and there are a ton of great places in the area to grab a bite before or after the walk. I hope this becomes a regular event like South FIRST FRIDAYS!